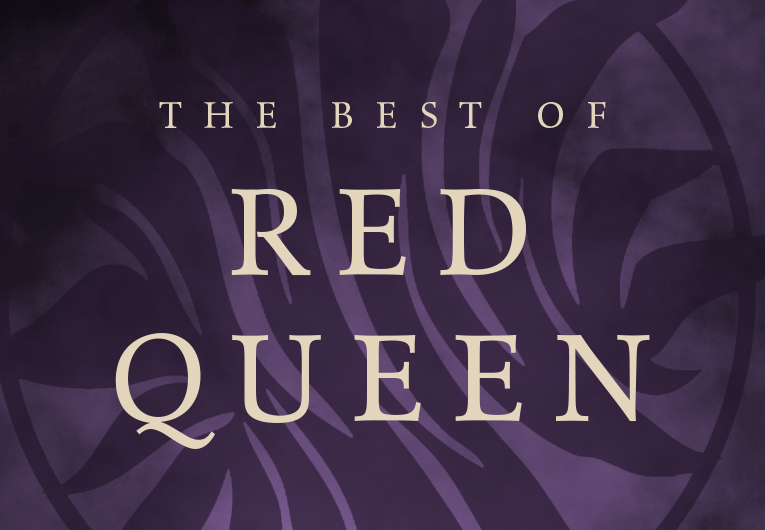 For your TBR consideration, read the first four chapters from The Shadow Queen by CJ Redwine––a dark epic fantasy inspired by the tale of Snow White! 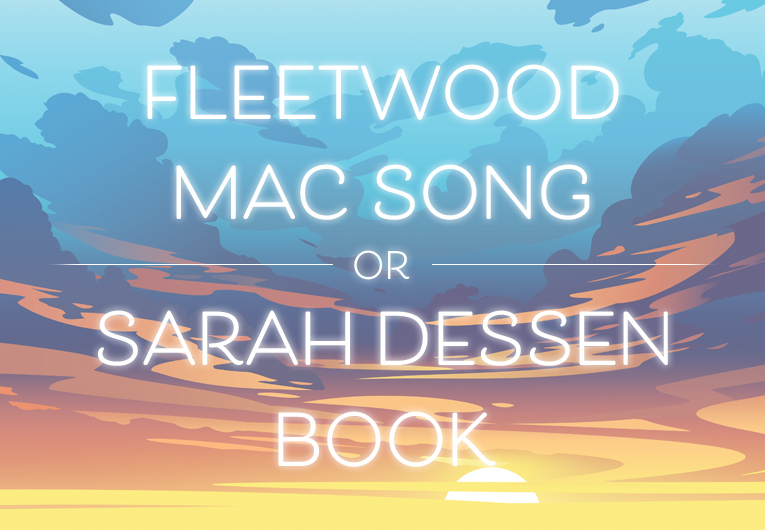 The book officially goes on sale February 16th but we’re giving you a first taste right now. Go ahead and take a bite, you might like it. . . Nothing had been right in the castle since her mother’s death. Her father’s smile had disappeared, and a brittle imposter had taken its place. Her younger brother had begun screaming in the dead of night, trapped in nightmares he couldn’t remember upon waking. And the faint tingle of magic in the princess’s palms that her mother had laughingly told her would one day make flowers bloom and birds sing had become a fierce burn of power that stung her veins and shook the ground if the princess wasn’t careful. She’d been desperate for a change—for some way to return the castle to the happy place it used to be. So when the king of Morcant began pressuring her father to marry another Morcantian of the king’s choice in order to keep the alliance between Morcant and Ravenspire strong, and her father announced that he was marrying the princess’s aunt Irina, a woman who’d never set foot in Ravenspire until her sister was buried, the princess began to hope. At first, it seemed the princess’s wish had been granted. Irina charmed the young prince into calling her Mama, and his nightmares all but disappeared. She coaxed smiles out of the king, and his hollow cheeks grew round again as she tempted his appetite with lavish feasts nearly every night. And she took the princess under her wing, sharing the secrets of the magic that ran through their blood. It was almost like having a mother again. Almost like being happy. Understanding dawned slowly, like prickles of pain in a limb gone numb. The princess began noticing things that shouldn’t be. Apples that gleamed beneath the candlelight but spilled rot once the skin was punctured. Apples her father, her brother, and the castle staff ate nightly until every bit of them had disappeared. Apples Irina said were for those without magic in their blood. As the king and his staff became glassy-eyed puppets, dependent upon Irina for their every thought, the dungeons filled with those who refused to give Irina what she wanted. Ambassadors from other kingdoms left in anger at the king’s refusal to speak to them unless he first asked Irina what to say. And whispers of magic threaded throughout the castle, a web of deceit it seemed only the princess could detect. Scared that she was losing her father, the princess decided to find a way to break Irina’s control over the castle and everyone in it. The princess chose her moment carefully. The warmth of day still lingered outside, but the air in the castle’s entrance hall was cool and comfortable, and the family often spent their evenings watching through massive windowpanes as the stars came to life. The princess’s father sat beside Irina, dull and vague, while they watched the prince play with the pet snake the queen had given him for his seventh birthday. Members of the royal guard stood watch nearby, their eyes focused on the queen they somehow adored more than life itself. The faint aroma of apples filled the air, and the lingering stain of rot smeared the teeth of those who smiled at Irina. The princess’s bare hands trembled as she wrapped them around Irina’s arm, and fear left a bitter taste in her mouth. Her magic burned through her veins and pooled in her palms, and she felt the heart of the queen—vicious, determined, and strong—surge against her hands. Her pulse pounding, her legs trembling, the princess said the incantor that would change everything. The queen jerked her arm free, but it was too late. Power leaped from the princess’s palms, slammed into the queen, and then shot to the gleaming marble floor where it exploded into a thousand tendrils of brilliant light. The light snaked over the floor, touching the palace guard, the prince, and the king before streaking throughout the castle to tear into pieces the fabric of lies Irina had built her new life upon. The king, his eyes clear, his memory of the last six months restored, shouted for Irina to be put to death for treason. The palace guard, released of their bespelled adoration, rushed to do his bidding. And Irina, one hand reaching to punish the princess who had betrayed her and one reaching to bespell the king again, hesitated for a split second between the two. In a heartbeat, the guards were upon her. The king pushed the prince and princess behind him. Swords flashed. Screams rose. And then Irina began to laugh. The princess shivered deep within as the guards closest to the queen fell back, clutching their faces while their skin peeled away from their bones and their blood bubbled like soup left too long on the fire. The princess snatched her brother’s hand and pulled him toward a small doorway that led to the servants’ hall. Irina scooped up the prince’s pet snake and with a whisper turned him into an enormous black viper. The snake slithered across the bloodstained marble and sank his fangs into the king. “No!” The princess turned back for her father, but Irina raised her arms above her head and slammed her palms into the wall behind her. Instantly, the stone shuddered and twisted. The princess screamed as the floor buckled, heaving upward and throwing her against a pillar that was quickly disintegrating into dust. All around her, the walls were crumbling, the floor was cracking, and the snake was attacking anyone still left alive. The princess locked eyes with the queen, a lake of blood and horror between them, and Irina smiled as the wall behind the princess exploded outward to crush the girl into dust. Chunks of stone crashed around the princess, leaving her a small circle of space full of acrid dust. She was trapped, the debris above her creaking and sliding as the floor shuddered. She was going to die, and there would be no one left to protect her brother from the monster who’d taken Ravenspire’s throne. A large dark hand reached through a space in the debris, wrapped around the princess’s wrist, and pulled her through the narrow opening between the pile of rubble and the servants’ hall. Gabril, the head of her father’s palace guard, crouched before her, his brown eyes steady on hers, his voice calm. “Can you run?” he asked as he scooped the prince onto his shoulders. The princess didn’t want to run. She wanted to see her father. She wanted to stay in her home. “Were you seen?” Gabril asked, his dark skin gilded with the last rays of the setting sun as he motioned Lorelai and Leo into the barn. The former guardsman had gray sprinkled throughout his short black hair now, and tiny lines were etched around his eyes. He still carried himself like a soldier, but the cost of trying to keep the queen from discovering that the prince and princess were still alive showed in the slight stoop of his shoulders and the worry that filled his eyes when he thought no one was looking. “No.” Lorelai Diederich, crown princess of Ravenspire and fugitive at large, hurried into the dim interior. The barn was tucked away at the edges of an abandoned farm just outside the mountain village of Felsigen and was so dilapidated, a good stiff wind might flatten it. “You’re sure?” Gabril’s voice was urgent as he stepped past the princess to help her brother, Leo, pull a heavily loaded hay cart into the barn. “I told you, we aren’t calling ourselves the Royal Rogues. And our disguises are fine.” Lorelai’s gloved fingers fumbled with the buttons of her ragged coat. “A minor detail.” Leo ran his hand over the sacks of loot that were neatly stacked on the hay cart. “We weren’t,” Lorelai said as her white gyrfalcon soared in through the open loft window and perched on the princess’s shoulder, her talons digging into the leather harness Lorelai had fashioned to be worn on her shoulder. A dead mouse dangled from the bird’s beak. “He yelled at the treasury officers long enough to give me time to hide in the wagon, but they never got a good look at him.” Lorelai shoved the dangling mouse away from her face. Gift. For you. Dinner. Sasha’s thoughts flitted through Lorelai’s mind with quick precision. Thank you, but I don’t eat mice. Lorelai’s throat closed as the little body brushed against her hair while images of Sasha’s beak enthusiastically shredding the mouse’s skin to get to its internal organs blazed from the bird’s mind into hers. She swallowed hard to avoid insulting Sasha’s gift by gagging out loud. Most of the time she was grateful for the day nine years earlier when she’d found the dying baby gyrfalcon and sent her magic into the bird to heal her. But sometimes the telepathic link that had formed between them as a result gave Lorelai far too much information about the inner workings of her bird’s mind. Strange human. Delicious mouse. Sasha spread her wings and glided to the barn floor, where she tore into her prize with relish. “My performance was impeccable.” Leo looked smug as he wiped dust from his curly black hair. “That was cruel, Lorelai.” Leo sighed dramatically and hefted the first sack. Gabril fetched a bundled-up blanket from the corner of the barn and laid it on the floor. When he opened it, several items lay beneath the dim light filtering in through the cracks in the walls. There was a length of rope, a tinderbox, and a brilliant green jewel half the size of Lorelai’s palm. Lorelai’s stomach clenched, and the air felt too thick to breathe as she slowly crouched beside the blanket and pulled off her gloves. The fabric stuck to her suddenly clammy skin. It wasn’t enough to rob treasury wagons and build loyalty among the peasants. It wasn’t enough to escalate the robberies and gradually move farther south—closer and closer to Konigstaadt, the capital of Ravenspire—to widen her base of support while she weakened the queen’s. Confronting the most powerful mardushka to come out of Morcant in a century required a careful, step-by-step plan. Nine years ago, Lorelai had challenged the queen, and her father had paid the price because Lorelai hadn’t thought through every possible way her plan could go wrong. She wasn’t going to make that mistake again. “I bartered for these from an Eldrian refugee. None of them have touched Ravenspire soil,” Gabril said. “I haven’t forgotten,” she said. The knowledge that if she touched something that was bespelled by Irina—which could be anything in Ravenspire considering how much magic Irina used to keep herself on the throne—the queen would come for them was the silent fear that crouched in the corner of her mind and kept her thinking, planning, and thinking some more every hour of the day. The only way she could become stronger was to practice her magic whenever Gabril found items that couldn’t possibly have been touched by the queen’s magic, which threaded its way deep throughout the kingdom. Magic that was sucking the heart of the land dry, withering crops and destroying livestock as it forced the living heart of everything it touched to submit to the will of Ravenspire’s queen. “I’ll practice now.” Her voice shook a little. She let him think she was afraid of her magic. Of being a mardushka in Ravenspire, where outside of Irina and the princess, practitioners of magic didn’t exist. Where magic wasn’t passed through bloodlines as it was in Lorelai’s mother’s kingdom of Morcant, but was feared, and the rare mardushka who left her home country and traveled south into Ravenspire was cursed by peasants and nobility alike. Letting him believe she feared her own power was better than admitting that she could still remember the warmth of Irina’s arm beneath her hand and the shape of her lips as she spoke the incantor to undo all Irina’s spells. Still hear the screams and smell the blood as the castle itself turned against everyone but the queen. Still feel the weight of Leo’s hand in hers as her father spent his last words telling her to protect her brother. If she wasn’t stronger than Irina, she wouldn’t be able to protect Leo. She wouldn’t be able to save her kingdom. Swiftly she picked up the green jewel. Its jagged edges gleamed in the dull light, and its weight was a solid presence. Her jaw clenched until it ached, and her power responded to the determination in her heart. Magic rushed through her veins and gathered in her palms, sparking and burning and begging for release. The heart of the jewel surged to meet her power and put up no resistance to her will. “Rast`lozh! Become the image that is in my mind.” Her magic flooded the emerald. She threw it into the air, and it exploded into a hundred razor-sharp needles that hovered, all pointed toward the barn’s door, waiting for a threat that wasn’t going to appear. “You called your magic much faster this time,” Gabril said, approval warming his eyes. “I thought of Irina.” Or more precisely, how badly she wanted Irina to pay for killing their father and stealing their kingdom. “Any residual weariness?” he asked. “Plenty. Thanks for asking.” Leo widened his eyes at the look Gabril gave him, then hefted another sack and started back up the ladder. “Not a chance,” Gabril said as he pressed his fist against his left leg. He’d broken it the night he’d rescued the two of them and hadn’t taken the time to have a doctor properly set it because his priority had been putting as much distance as possible between the children and the queen. Lorelai’s determination to heal him and his determination to refuse her formed the backbone of an argument that had worn a groove through their relationship for the past nine years. Lorelai locked gazes with him, magic burning in her palms. “Now that we have that settled, who wants to help me with the last of these sacks before it’s so dark that I misjudge the ladder and fall to my untimely death?” Leo asked. “And what if I can’t?” Her words hung in the air, punctuated by Sasha cracking open the mouse’s bones and pecking at the marrow. Early the next morning, they headed east toward the small village of Tranke. The town was built along the road that led east over the Falkrains and into the neighboring kingdom of Eldr. With an ogre war raging across Eldr, rumor had it that Eldrian refugees with pockets full of jewels were moving through Tranke, desperate to trade for food and drink. Gabril was hoping they might have other items to trade as well—items Lorelai could use to practice her magic. The three of them walked in silence. Clouds scudded across the gray sky, and the crisp, wet bite of an impending snowstorm chased a shiver down her spine as they climbed the same road the treasury wagon had followed the day before. Sasha flew in lazy spirals overhead, her white wings blending in against the clouds. Want food? Sasha sent an image of a small rodent scurrying along the underbrush. Eat raw. Tastes the same. Try? Sasha dipped her wing and circled her prey. I can’t eat raw animals. Lorelai shuddered. And stop sending me images of spleens and bones and other things I don’t want to put into my mouth. Can give you some for brother. Sasha’s amusement drifted into Lorelai’s mind like a cold breeze. He doesn’t want any. Is the road ahead clear of soldiers? No soldiers. Safe. Sasha dove for the ground and something shrieked as she found her prey. Safe. Lorelai frowned as she walked past thick oaks whose trunks had large patches of rot clinging to them. Soldiers weren’t the true danger in Ravenspire. If Irina didn’t stop draining the land with the demands of her magic, there wouldn’t be anything left of Lorelai’s kingdom when she was ready to challenge the queen for the throne. Ignoring Sasha’s thoughts about her meal and Leo’s attempts to come up with a name for their daring escapades, Lorelai mentally picked up each piece of her plan and examined it for weakness. Step one: Rob the treasury wagons. Six robberies already accomplished without mishap. Step two: Find a safe contact in each village who could distribute the goods to those in need. Gabril had taken care of that to mitigate the risk that someone untrustworthy might see the resemblance between Lorelai and the late king and curry favor with the queen by reporting it. Step three: Let the rumors of the robberies become attached to the idea of the princess returning to claim her throne so that she could build a base of loyalty. She hadn’t actually figured out how to do that yet. She hadn’t, but Leo had. She glanced at him and sighed. She was never going to hear the end of this. “You’re right, Leo,” she said. Gabril and Leo turned to look at her as the road dipped between a stand of pines whose needles were turning brown and a meadow of brittle grass. “No.” Gabril turned on his heel and kept walking. “No,” Gabril and Lorelai said together. “We’ll have to put some more thought into it,” Lorelai said. “I never forget my etiquette.” Leo looked wounded. “You aren’t the sibling I’m concerned about.” Gabril gave Lorelai a meaningful look, and she huffed impatiently. Gabril raised a brow at Lorelai. “I’m pretty sure snorting is beneath royalty.” Leo sounded smug. “Fine. You also look most fetching. So fetching, in fact, that I might allow Sasha to share her meal with you after all.” Lorelai laughed as Leo glanced uneasily at the sky. “Pretend I’m a visiting ambassador from Akram,” Leo suggested. “I had no idea Ravenspire princesses were so uncouth,” he said in a near-perfect imitation of an Akram accent—long vowels, choppy consonants, and a mesmerizing singsong cadence that Lorelai found impossible to mimic. Hours later, after practicing how to speak with the royalty, merchants, and nobility of all Ravenspire’s allies, even Leo was tired of talking. They’d trekked through pastures full of yellow, dying grass and flocks of sheep too thin to face a winter, past forests full of crumbling tree trunks and soil that was losing its color, and past cottages that appeared to be abandoned. It seemed the only part of Ravenspire that wasn’t dying as a result of Irina’s magic were the rivers. They were coming up on another cottage without smoke curling from its chimney when Gabril suggested they stop for lunch. Leo pulled out the last of their oat bread. Lorelai took a canteen from her pack and began moving toward the cottage, searching for its well. She was walking past a line of brittle rosebushes that edged the south side of the cottage when a thin, high-pitched scream pierced the air, raising the hair on the back of Lorelai’s neck and sending a jolt of magic burning down her veins. The scream was coming from the backyard. Lorelai dropped the canteen and ran, her palms stinging with magic. Skidding around the corner, she saw three small children, bellies distended with hunger, lying motionless on the frigid ground behind the cottage. A woman with sunken cheeks and desperate eyes was standing over a fourth child, holding a bloodstained knife in her hand. Lorelai’s heartbeat thundered in her ears as icy fingers of panic closed around her chest. “Stop!” Lorelai shouted, but it was too late. The woman, her arms trembling, her face white with strain, plunged the knife into the fourth child’s chest. The little girl slumped to the ground while the woman stood holding the knife with shaking fingers. Lorelai raced over the grass and threw herself to her knees beside the child. The girl’s blue eyes seemed to beg Lorelai for something, and her mouth moved as if she was trying to speak. “It’s all right.” Lorelai’s voice trembled as she pressed her gloved hands to the wound that was pouring blood out of the girl’s chest with alarming speed. Her words were a lie—already the girl’s heartbeat faltered, and her body shuddered with the effort it took to stay alive. Leo raced past her to the other children who lay silent and still, blood soaking into the ground beneath them. “They’re dead.” Leo’s voice was a whiplash of anger as he looked up at the woman. Her throat closed over the words, and she had to swallow past the sudden ache of tears. She climbed to her feet, her gloves still covered in the child’s blood. “How could you do this?” Her voice trembled with horror as magic gathered in her palms like lightning. She wanted to rip off her bloodstained gloves and speak an incantor that would punish the woman. That would hurt her the way she’d hurt her children. It would be justice. No one else will give you what you want, Lorelai. You have to take it for yourself. You have the power. Use it. Shuddering at the memory of Irina’s words, Lorelai tugged her gloves toward her wrists. She repeated the words over and over while Leo stumbled away from her, his face pale and stricken. Gabril wrapped his arms around the prince, but his gaze was on the woman. “How can we help you?” he asked, but the woman didn’t hear him. She was crawling from child to child, repeating her chant, smoothing their hair and kissing their faces. Lorelai opened her mouth to reply, but if words existed that would ease the mother’s pain and offer hope, Lorelai couldn’t find them. How many of their people were facing the terrible choice between watching their children starve to death or killing them quickly as an act of mercy? The twelve bags of food she’d taken from the treasury wagon yesterday weren’t enough for a need this big. They were a bandage on a wound that needed a tourniquet. The woman made an awful, keening noise and then turned the weapon toward her own chest. Sun glinted sharply against the blade as it plunged toward the woman’s heart. Lorelai lunged for her, but she was too late. With a soft groan, the woman slumped over the body of her daughter. Lorelai snatched her shoulders and pulled at the weapon as if she could somehow save her, but the woman had buried the knife deep beneath her sternum, and blood was a river that poured into the parched soil beneath her. It wasn’t long until the desperate pain on the woman’s face eased into stillness. Lorelai’s eyes stung, and her throat closed on the rusty-sweet smell of blood in the air. Wiping her gloves clean on a tuft of grass, she gently closed the woman’s eyes and prayed that in death, she’d found the peace she couldn’t find in Ravenspire. Leo and Gabril joined her as she closed the children’s eyes, tears streaming down her face. When she reached the baby, she sank to her knees and pressed her gloved hands to the dying ground. Leo knelt beside her and wrapped an arm around her shoulders while Gabril stood behind them, a hand on each of their shoulders. Leo’s eyes burned with determination as he nodded. “What’s the plan?” Leo asked quietly. The knowledge that she would have to face Irina earlier than she’d anticipated was a stone in Lorelai’s stomach as she lifted her gaze from the baby’s silent body, over the field of dying grass, past the dusty cobblestoned road, and looked east toward the carpet of evergreens that covered the mountain and the treasure they hid from her view. Kolvanismir Arsenyevnek, second born prince in the kingdom of Eldr and recent expellee from Eiler’s Military Academy (for what would surely go down in the record books as the single greatest prank to ever have been pulled by a senior cadet) was trying to have the time of his life. “More mead!” he roared over the deafening noise of a party that had been in full swing in an unused storeroom within the castle’s basement for over an hour. Servants scurried to the far corner of the room, where an ever-shrinking stack of barrels waited for their turn to be emptied into the mugs of Kol’s friends, acquaintances, and—he squinted in the flickering light of the torchlit chandelier, his stomach sinking—his younger sister. His parents were already going to be furious that he’d been expelled (for the third time, though the first was for such a minor infraction, Kol figured it hardly counted) and that he’d chosen to celebrate this accomplishment by depleting the castle’s supply of spiced mead. If he added “got his little sister drunk” to the long list of things-Kol-does-that-disappoint, he’d probably be sent to the front lines of the ogre war before he could get the words “I’m sorry” out of his mouth. As he moved across the dusty storeroom floor, dodging raised mugs and bodies writhing in time to the thunderous beat of the drummers Kol had hired with the last of his monthly stipend, two of his best friends flanked him. Raum was still dressed in his cadet’s uniform, bronze epaulets and all, but Mik had changed into a dress with dainty flowers and enough ribbons to make the royal seamstress jealous. “I know.” Kol muscled his way past a fellow senior and quickened his pace as Brig held out her mug to a passing servant. “When your parents get back, they are going to kill you for this,” Raum said. He held it high above his head as she grabbed for it. She settled for smacking his shoulder instead. “Close enough.” Brig’s tone was full of bravado and longing. Kol remembered when he’d first sneaked into one of their brother’s parties, hoping to pass as far more grown-up than he was. He’d learned two things that day. One, feeling grown-up enough to guzzle mead in a dark corner until one’s older brother caught you wasn’t the same as being grown-up enough to keep the mead down for any respectable length of time. Kol still shuddered when he remembered that particular bout of sickness. And two, Ragvanisnar truly did throw the most boring parties in the entire world. Who else would include a chess tournament and a dramatic reading of Finlerbenske the Great but forget to hire a band or invite any girls? Brig reached for the mug again, and Mik deftly snatched it from Kol’s hand and disappeared into the crowd. Before Brig’s pout could finish forming, Kol looped his arm around her shoulder and steered her toward the storeroom door. “And you can’t pass your final cadet exams when you’ve been expelled.” She smirked at him. “I beg to disagree.” Raum sounded offended. He opened the door with a flourish, though her pity scraped at something he didn’t want to acknowledge. How was it possible that his fourteen-year-old sister could see him so clearly while his own father never saw him at all? He had five hours before his parents returned from giving Rag a tour of the war front and called him to task for his actions. He had no intention of showing up for that conversation sober. The band played their last song at dawn. Most of the senior cadets had long since left for the dorms located on the spacious academy grounds just west of the castle’s bulky stone exterior. Of Kol’s closest friends, only Jyn and Trugg remained. Determined to make the most of what would likely be his last hour of freedom, Kol turned toward his friends, executed a proper bow, and held out his hand to Jyn. “Skies above, I thought you’d never ask.” Trugg thrust his meaty palm into Kol’s and slammed his shoulder into the prince in what had to be the worst attempt at a pirouette Kol had ever seen. “Your dancing could take out an entire row of innocent Eldrian maidens in one fell swoop.” Jyn elbowed her way past Trugg, swatting at him when he pulled on her short dark hair. “Ah yes, but then I’d have impressed an entire row of innocent maidens, and Kol here would have impressed only the one.” Trugg wiggled his brows at Kol. “If your goal is to impress girls, save your moves for the sky, where you truly shine,” Kol said as he took Jyn’s hand in his and spun her into his arms. “I am a beast in the sky, aren’t I?” Trugg clapped his friends on their backs, sending Jyn into Kol’s chest, and then wandered over to peruse the sad remains of the mead barrels. The song was a blend of pounding drums and wailing violins, but Kol couldn’t find the energy to keep up the pace. Not with the weight of his impending confrontation with Father sitting like a rock on his chest. Instead, he closed his eyes, held Jyn loosely, and swayed while his thoughts circled the situation. Mother would frown, more because Kol had once again fallen short of what was expected of a prince of Eldr than because he’d been expelled, but later he’d make her laugh as he recounted the story of sealing Master Eiler in his toilet closet. Rag would look silently superior, and Kol would be honor bound to punch him for it later. And Father . . . Father wasn’t likely to ask Master Eiler to reinstate Kol this time. Not when the chance to redeem himself and graduate with honors was no longer a possibility. No, Kol would be sent to the war front to learn responsibility or die trying. Father had threatened as much before, but Mother had intervened. Kol was certain no intervention in the sky above could sway Father this time. He should be afraid of what was coming. He should be making plans to plead his case. Instead, there was relief—a sort of shaky calm at the thought of finally facing the threat that had hung over Kol like a blade for the past two years. Behind him, the storeroom door flew open with a bang. Kol turned, his stomach rising up to meet the weight on his chest, his shaky calm evaporating, and met the gaze of a harried-looking castle page. He followed the page into the long stone hallway that bisected the castle’s basement, his twin hearts pounding miserably in his chest. What would Father say if Kol admitted he’d pulled the prank—the epic, legendary, worthy-of-record-books prank—because every other honor in the school had already been earned three years ago by Rag? His boots scraped the steps as he ascended the stairs and entered the hall that led to the throne room. The long stretch of bronze stone, cooled by the breeze that entered through the open balconies lining the hall, overlooked the spacious castle grounds. When the enormous throne room doors with their carved runes and golden handles loomed before him, Kol’s spine snapped into the ridiculously rigid posture Master Eiler demanded of his cadets. The doors began to open, and suddenly the headmaster himself was there, stepping past the page and wrapping an arm around Kol’s stiff shoulders. Kol jerked back, but the words he wanted to snap at the headmaster for interfering with the meeting Kol was about to have died when he looked into Master Eiler’s face. “Come with me,” the headmaster said softly as he turned the prince away from the doors. A maid stumbled out of the room, her hands pressed to her mouth, and ran down the hall. Kol’s blood felt too thick for his veins, and his knees began to shake. “What’s going on?” Kol pulled away from the headmaster, his palms slick with sweat, his dragon heart kicking louder than his human heart as if it sensed a threat Kol had yet to identify. “Why not? Father already convinced you to reinstate me?” Kol’s voice was too loud, his breathing too hard as the dragon fire in his chest rumbled. More staff exited the throne room, their faces stricken. “I’m sorry.” The headmaster’s tone left no room for doubt. Kol’s legs suddenly felt too weak to hold him. Kol shook his head, a violent denial that did nothing to soften the headmaster’s next words. Master Eiler said something else, but Kol couldn’t hear him over the thudding of his dragon heart. The rush of scorching fire in his veins was a scream of agony. He couldn’t stay here, trapped on the balcony, waiting for the grief to swallow him in front of the headmaster and the steadily growing crowd of servants and guards behind him. His skin rippled, an itch that started in his scalp and sped toward his toes, and the heat in his chest spilled out of his nostrils in a stream of ash-gray smoke. Without bothering to shed his clothing first, Kol gave in to the pounding of his hearts and let his dragon take him. His bones flexed and shifted, his muscles expanding. The familiar pain was a welcome outlet for the awful grief that tore at him from the inside out. He shook his head and heard the ridges along his spine clattering into place as his skin hardened into the red-gold scales of his dragon. He thought he heard someone cry out his name, but he was done with listening. His talons dug into the stone balcony beneath him as he roared, emptying his grief and horror into the skies above. Then he unfurled his golden wings with a snap and soared into the air, leaving the castle far behind him. Kol stood beside Brig on the shore of Lake Skyllivreng, facing the vast expanse of water that stretched from the base of the Urrvenskeyr Mountain far into the distant forests to the north. Before him, floating on the water, were the funeral pyres of his father, his mother, and his brother. Their bodies were wrapped in gold silk and tied with a blue cord to symbolize the Sun Mother and the Sky Father. Bronze chests filled with treasure were placed at their heads while gold chests filled with mementos from their former lives were at their feet—one guaranteed their entrance into the afterlife, and the other helped them remember the ones they’d left behind. Kol didn’t want to be left behind. He didn’t want to be on this shore, his arm around his sobbing sister, the entire kingdom at his back waiting for him to say good-bye and take up the responsibility for saving a kingdom no one truly believed could be saved. His twin hearts beat hard against his chest as Master Eiler stepped to his side and held out a lit torch. Brig shuddered, burying her face against him, and he leaned his cheek against the top of her head for a moment. It was the only comfort he could offer. He was a seventeen-year-old failure of a prince with the weight of an entire kingdom on his shoulders. He had no idea what to say or do that would give anyone—himself included—confidence that he could lead his nation to anything other than its final destruction. Looking up, he met his former headmaster’s gaze, expecting to see pity. Instead, he saw the same rigid expectations he’d always seen. That Kol would be the cadet—the Eldrian—Master Eiler had trained him to be. Once upon a time, those expectations had felt like a noose around Kol’s neck. Today, they were a road map for a journey Kol had never thought he’d have to take. He straightened his spine and gave Brig one last squeeze. Stepping forward, he took the lit torch from Master Eiler with a steady hand and waded into the frigid water. When their voices faded, Kol moved to his brother’s pyre. His chest ached sharply as he thrust the torch into the straw that cushioned his brother’s body. The fire caught and ate greedily at the tinder. Moving to his mother’s pyre, Kol laid his hand on her raft and tried to speak. He wanted to tell her that nothing would be the same without her. The words wouldn’t come. Instead, he simply whispered, “I love you best, and I’ll miss you forever,” as he lit her straw and turned away. His father’s straw caught fire, and then members of the royal council were there beside him, pushing the pyres out into the lake until the current caught the rafts and sent them on their slow, stately journey toward the afterlife. Kol nodded. It was the best he could manage. He was about to become king of a nation on her deathbed. Defending his people from the ogre invasion was now his problem and his alone. He faced the castle and clenched his fists. He would figure out how to lead his people. How to protect them. He would become the kind of ruler he could be proud of, or he would die trying. Two hours after he’d been crowned king and had met with the royal council to discuss the ogre war, Kol was ready to leave for the war front to assess the situation himself. All that remained was to tell Brig good-bye. He had no answer for that, so he simply held her and wished he could turn back time to a week ago before he’d pulled his epic prank on Master Eiler, before his parents had taken Rag on a tour of the war front, before everything became so complicated. So impossible. “What are we going to do?” Brig’s voice was little more than a whisper. “You sound like Father,” Brig said, a shaky smile flitting across her face. It took nearly a full day for Kol, Trugg, Jyn, and two members of the royal council to reach the war front by flying in their dragon forms. The craggy mountains and lush forests that surrounded Tryllenvreng, the capital of Eldr, slowly gave way to rivers that cut through the rocky hillside like ribbons. Eldrians fleeing the southern half of the kingdom for the safety of the refugee shelters in Tryllenvreng camped along the riverbank in clumps. Kol’s human heart ached for them as he flew past. He understood now what it meant to have those you loved ripped away from you. The land began to bear battle scars as Kol and his friends closed in on the war front. The evidence of a recent fight could be seen in shattered boulders, in trees ripped up at the roots, and in an entire hillside caved in as if an enormous creature had ripped the land to pieces. Tearing his gaze away from the wreckage, Kol signaled the others to follow him to the highest hilltop in the area. Night was falling, and soon they’d be able to fly over the armies and assess the situation undetected. Kol alighted on the hilltop, shook out his wings, and folded them back as the others came to rest around him, their talons digging into the rocky soil. Below him, the Eldrian army was positioned with the strongest flyers in the center, archer and catapult support just behind them, and secondary flyers hidden from the approaching army on both the left and right flanks. The third wave of flyers were hidden behind the archer and catapult support to provide either another wave of attack or defensive cover for the forward soldiers in the event of a retreat. Kol had a feeling all the army had been doing was retreating, giving up Eldr in bits and pieces. As he studied the army’s position, there was a cry of warning, and then a pack of ogres swarmed over the rocky hills to the south. The ogres were immense thick-chested brutes—wide as four large oak trees side by side and double the height of the average Draconi—with no necks, round black eyes, and tough gray skin that matched the rocks they were scaling with incredible speed. Immediately, the first wave of flyers rose into the air, and the catapults began pelting the incoming ogres with boulders coated in pitch and flame. A few of the ogres went down, crushed beneath the weight of the boulders, but for every creature who fell, another three took its place. The ogres formed a V and stopped as if waiting for the arrival of the Eldrians. From his vantage point on the hilltop, Kol saw something in the middle of the V begin to glow like a brilliant blue sapphire. He squinted against the glare of the dying sun, and a pit of ice formed in his stomach. What kind of weapon glowed like that? The ogres in Kol’s history books—the ones who’d roamed Eldr and the southern kingdom of Vallé de Lumé in vicious packs centuries ago before a witch sealed them away in a prison deep beneath the southern mountains—had always used brute strength and violence to crush their opponents. Not weapons that glowed. Not formations that spoke of organization and strategy. He wanted to scream at the flyers to get back, but it was already too late. The flyers dove at the assembled ogres, fire spewing from their mouths—a cover for the poison-tipped arrows the archers sent just beneath the Draconi. A few of the arrows struck ogres in the eyes, but the rest glanced off the beasts’ rock-hard skin and fell harmlessly to the ground. The flyers banked a perfect turn, preparing for a second assault, when the ogres on the outside of the V dropped to the ground, revealing the creature who stood in the center. It may have once been an ogre but now it was something far worse. Its round black eyes were lit with sapphire flames from within. Its massive bulk was covered with so much knotted muscle, it resembled an enormous gray rock bound by gnarled tree roots. And in its hands was a ball of crackling blue light the size of a small horse. What kind of monstrosity was this? Kol’s hearts thundered in his chest, and his stomach plummeted as he dug his talons into the unforgiving ground and forced himself to stay hidden. To stay safe because Eldr needed her king, even though her king had no idea how to save her. The creature stretched to its full height, casting a long shadow over the ogres crouched below it. Kol lashed the ground with his tail, scattered bits of rock and dirt. His army was already struggling to contain the ogre onslaught. How were they supposed to fight a monster like this? How was he supposed to fight it? The kingship he’d accepted at last night’s coronation ceremony felt too heavy to bear as his flyers banked, preparing to sweep the ogre lines again. The creature drew its arm back and flung the sizzling blue light directly into the flyers as they completed their turn. It wrapped around the Draconi like chains of lightning and then exploded into a brilliant blue mist. When it dissipated, all that was left of the entire squadron were a few bloody scales that slowly drifted to the ground. Kol felt sick, his dragon’s fire burning miserably in his chest. The ogres, released from their mountain prison by the dark enchantress who had ensnared the southern kingdom of Vallé de Lumé the previous winter, had somehow found a way to tap into her power and use it for themselves in their quest to once again dominate the lands they’d been cast out of so many lifetimes ago. There was nothing Kol could do to stop them. Not without magic of his own. The realization was a blow Kol didn’t know how to absorb. Focusing on the grief and desperation in his human heart, Kol released his dragon. His wings receded, his fangs drew back, and as his red-gold scales softened into his human skin again, he turned to find the others had shed their dragons too and were busy pulling clothing out of the travel bags Jyn had volunteered to carry for the group. Jyn tossed Kol some trousers and a shirt and asked, “How did ogres get the use of magic?” She sounded shaken. “A better question would be how do we stop them?” the councilwoman asked as she shrugged into a shirt. “We can’t stop them.” Kol was grateful his voice didn’t reveal the panic that wanted to steal his breath and paralyze his thoughts. He’d promised to protect Eldr. How was he going to do that when his enemy was unstoppable? “If we had magic of our own, it would be different,” the councilman said. “That’s correct,” the councilwoman said. “Is a mardushka from Morcant and married into her throne,” the councilwoman finished, her eyes gleaming. “Why you? Let us go in your place,” Trugg said. “To the sky and back,” Jyn repeated. Kol pushed his grief, his fear that he would fail and all Eldr would pay for it, into the corner of his thoughts and focused on what he would say to the queen of Ravenspire to get her to agree to use her magic to save Eldr from certain destruction. She was his last hope. Lorelai’s pulse kicked hard against her skin, and her breathing quickened as she crouched in an evergreen that bordered the southern wall around the northeast garrison, gripping the branch beneath her with gloved hands. Sasha perched above her, her bright black eyes fixed on the garrison. It had been two days since Lorelai had seen the desperate mother kill her children to spare them death by starvation. Two days, and the horror was as fresh as the day it had happened. Today’s robbery wouldn’t make that right—nothing could—but it was a step in the right direction. The tree shook as Leo climbed up to join her. His curly black hair was hidden beneath a cap, and he carried their stash of burlap sacks rolled into a pack on his back. “All set on the plan?” he asked quietly as they watched the garrison’s patrol—a pair of guards in full uniform—march inside the western perimeter of the wall. “Of course I’m all set on the plan. It’s my plan.” It would take the patrol fourteen minutes to complete the circuit around the inside of the wall. Fourteen minutes for Lorelai to get into place and be ready to create a distraction worthy of diverting the attention of every soldier inside the garrison. “It’s a terrible plan,” Leo said, his hands clenching and unclenching within his gloves. Thirteen minutes. She scanned the garrison for movement. The plan would work if the only soldiers out in the frigid weather were those required to be on patrol. Close to the northern corner of the wall—the spot where Gabril waited, along with the handful of trusted peasants from the surrounding villages who’d been invited to bring a wagon and load it down with supplies for their respective towns—a stocky structure housed the storehouse of food. The kitchens and the dining hall were close by, but the armory was on the southern side of the garrison, and the barracks were to the west. No one should be near the storehouse in the middle of the afternoon. Lorelai was going to make sure of it. “Don’t get caught yourself.” He gave her a one-armed hug and then shinnied down the trunk. He ran for the northeast corner of the wall where he’d scale it, rig a simple rope and pulley system with Gabril, and then break into the storehouse so he could start sending bags of food over the wall to the waiting wagons. Where is the patrol? she asked Sasha, sending an image of the pair of soldiers marching inside the wall. Sasha spread her wings, lifted herself out of the evergreen, and flew over the garrison. Corner. Leo. She sent an image of the soldiers approaching the northeast corner where Leo, Gabril, and their helpers waited. It was time to send a message—not just to the villagers but to Irina—that there was help in Ravenspire for those who needed it most. It was time to make the next big move in Lorelai’s plan to weaken Irina and take back the throne. Cover me. Lorelai sent, and then she was moving. Swinging from the branch, she dropped lightly onto the garrison’s wall. Her boots, thin-soled and flexible, gripped the narrow lip of stone as she began moving west with quick, light steps. Sasha swooped through the air and flew beside her. Nine minutes until the soldiers reached the place where the stables huddled just past the long, low-slung wooden buildings that housed the barracks. Reaching the southwest corner, Lorelai pressed her hands against the stone, gathered herself, and leaped for the ground. The rocky dirt seemed to rise up to meet her, and she tucked her body, rolling forward upon impact. She was running the second she got her feet beneath her again. Check the barn. She glanced at Sasha as the bird surged ahead and began circling the distant stables. Almost. Lorelai sprinted across the open space that stretched between the wall and the stables. She had to run past all three barracks to get there. Any moment a soldier could look out of a window and see what looked like a boy in a soot-stained cap and sound the alarm. The barn loomed before her, a solid block of brown wood with white trim. Lifting the iron latch, she pulled the double doors open and went inside. The barracks were still quiet. None of the soldiers had any idea their security had been breached. Racing down the row of stalls, she flipped the latches and pulled open the doors. The horses snorted in alarm at her appearance, and a few shied away, but several tentatively left their stalls and looked toward the open door. “That’s right. You want out. Trust me, you aren’t going to want to stay here.” She used her most coaxing tone of voice, but the horses didn’t look convinced, and Lorelai was out of time. Any minute, the patrol would be back, and they needed to see the kind of situation that required the attention of every soldier in the barracks. Sasha, help. Get the horses out. Lorelai reached the ladder that led to the hayloft as Sasha flew through the open doors. Her bird swooped through the air, pecking at hindquarters and shrieking as she drove the panicked horses out of the barn, and Lorelai raced up the ladder and into the loft. Yes. Tell Leo he can start. Sasha flew out of the barn, and Lorelai shoved the loft doors open, letting in a slap of air that still carried a bite from the previous day’s late autumn snowstorm. The patrol was approaching the section of the wall that flanked the barracks, but their attention was locked on the horses that milled about the stable yard. With a shout, the two guards broke into a run, heading for the barn. “That’s the least of your worries,” Lorelai said as she assessed the stacks of hay that surrounded her. The bales were stacked three high and eight deep. More than enough to burn the whole thing down. Another shout drifted up to the open loft doors, and Lorelai snatched her tinderbox from her pocket and flicked the lid open. Flint struck the glittering black stone inside the box, and a brilliant white flame leaped to life. Moving quickly, she swept down the line of hay bales, shoving the flame into the dried grass and then racing on when that bale caught fire. Soon, the loft was ablaze, fire greedily chewing through one hay bale and then leaping for the next. The heat was nearly unbearable. Her skin felt dry and crisp as she hurried to the open loft doors. Flames crawled from the hay and raced up the wall. She grabbed the edges of the opening and peered out. Soldiers were pouring out of one of the barracks while horses reared and shied away from those who tried to catch them. In the barn beneath Lorelai, someone shouted, and footsteps pounded up the ladder. She looked at the ground to assess her jump and locked eyes with a soldier who stood directly below her. “Thief!” the woman yelled, pulling her sword and pointing it up toward the princess. Soldiers rushed to her side. Lorelai’s heart thudded against her chest, and magic burned in her palms. She couldn’t stay in the barn surrounded by fire. She couldn’t leap directly to the ground. Sasha, help! she sent, and then she swung her body out of the loft doors, balanced on the edge of the opening, and prayed salvation would hurry up. A sharp pain seared her neck, and she slapped her gloved hands against her coat as the fire that was consuming the barn wall came for her. Another pain, this time above her ear, had her ripping off her cap and throwing it behind her as flames chewed into it. Hurry! She scanned the skies, but Sasha was coming from behind the barn, and Lorelai couldn’t see anything but the steadily growing sea of soldiers below her, their swords ready to impale her when she fell. “Surrender in the name of the queen!” the woman who’d first seen Lorelai yelled. It was either burn to death or leap into the throng of soldiers. Lorelai was out of time. Grabbing the edges of the loft doors, she muttered a prayer and chose a landing spot to the left that appeared to have the smallest concentration of sharp weapons ready to punish her for her treason. I’m jumping. She sent, and shook with relief when Sasha exploded over the top of the barn and dove for the soldiers. Protect. Hurt. Kill. Sasha’s thoughts vibrated with fury. She screamed her battle cry and swooped below the line of swords. Crashing into the soldiers closest to the barn, the bird tore at them with her beak and talons, sending them staggering back into those behind them. It was all the opening Lorelai needed. Launching herself into the air, she tucked her knees, aimed for a soldier who’d turned his back to defend himself against Sasha’s next attack, and slammed into him. They went down hard, and Lorelai rolled to the side, narrowly avoiding the wicked slice of someone’s sword, and then scrambled to her feet. Soldiers filled the stable yard and more were coming. Lorelai needed to get out while she still had a chance. Wall, Lorelai screamed as Sasha tore into another line of soldiers, nearly getting impaled by a sword in the process. Path. A full-grown gyrfalcon in hunting mode was a terrifying force to be reckoned with. As big as a buzzard, twice as fast as a cougar, and viciously focused on her prey, Sasha’s shrieks batted the air as she dove, tore, and collided with anyone between Lorelai and the wall. Tucking her head, Lorelai raced behind her bird, somersaulting beneath a soldier who lunged for her and then flipping to the side to avoid another’s sword. The wall loomed in front of her. Soldiers were running behind her. Sasha surged upward seconds before a thin black arrow streaked through the sky, just missing the gyrfalcon. Danger. Flee. Lorelai willed the bird to obey as she approached the wall without slowing. She aimed for the corner, the joint that marked the meeting of north and west. The shouts rose behind her as Lorelai gathered herself. Planting her left foot, she launched her right foot toward the wall. The second it touched, she kicked outward, gaining height and leverage. Her left foot hit the wall, and she kicked outward again, forcing herself upward, defying gravity. Using the corner for additional leverage, she reached the top of the wall in four leaps. Slapping her palms onto the edge, she pulled her legs beneath her, touched her toes to the wall, and then leaped for the closest tree. Sasha landed hard on her shoulder, talons gripping tight, her mind filled with furious worry for Lorelai. Watch our backs. Lorelai took off running for the northeast corner where Gabril and Leo were finishing the job of emptying the garrison’s storehouse. The wagons gathered in the forest were laden with bags of grain, beans, apples, dried vegetables, and spices. Gabril took one look at Lorelai’s face as she sprinted around the corner of the wall and barked a command at those around him. By the time the soldiers secured the horses and opened the garrison’s gate to search for her, Lorelai, Leo, and the rest of the robbers—along with over half the food kept in the storehouse—were gone. What did you think of the first four chapters of The Shadow Queen? 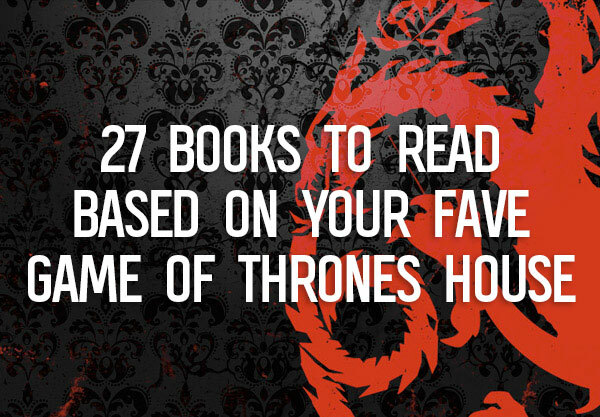 Tell us what you think of the book in the comments below! Ready to order a copy? Get one here! 📧📥 Want more chapter samplers delivered directly to your inbox? 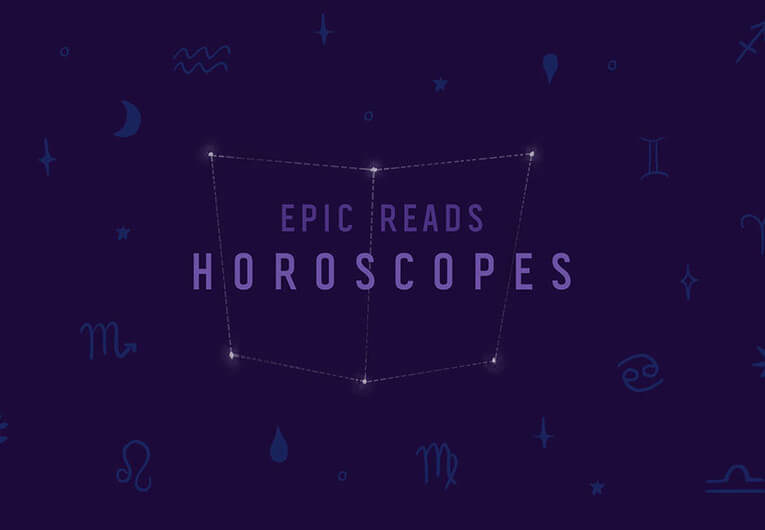 Sign up for the Epic Reads First5 newsletter and we’ll send you 5 chapters from a new book each week, one chapter a day! Read more sneak peeks here!